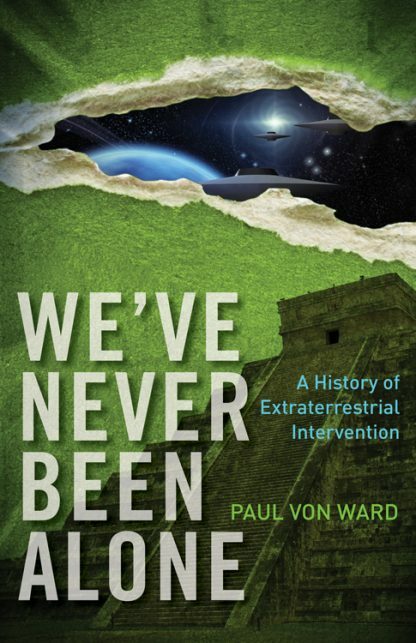 Whether you call them gods, angels, ETs, or aliens, sufficient proof now exists that beings more advanced than humans have influenced our history. Evidence suggests that these outsiders shaped our religions, genes, technology, and cultures. In fact, they may have provided the impetus for modern civilization. Paul Von Ward investigates why modern science and religion refuse to address the possibility that humans interact with Advanced Beings(ABs). He reviews sacred texts, myths and legends�from the Old Testament, Hebrew texts, and the Vedas, to the Greek myths, Sumerian tablets, and other historical sources to make the link between religions, their gods, and alien intervention. He shows how this history of AB intervention has been suppressed and challenges readers to reexamine the origins of notions like �divine revelation� to find common ground among the world�s cultures and religions. Paul Von Ward holds graduate degrees in government and psychology from Harvard University and Florida State University. He served in the US Navy and as a Foreign Service Officer for the US State Department. He lives in Dahlonega, GA.